Individuals create social societies wherever they go, according to several organizational theorists of the late 19th and early 20th century. Douglas McGregor, for instance, created his ABC theory regarding attitude, behavior, and consequences to illustrate the importance of the individual within working groups and the effect upon successful output. Abraham Maslow reminded us that motivation and public behavior are not synonymous. An individual’s behavior, according to Maslow, is a reflection of his or her biological, cultural, and current contextual environment. Because of this, individuals cannot be counted on to perform as expected even when context is identical. 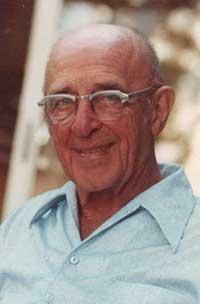 Carl Rogers created his opus on the individual based on his understanding that the individual needed a voice. He began to see patterns in individuals’ complaints and solutions. This provided an impetus and a method for a discussion of their fate. McGregor also believed that individuals’ complaints and solutions were not always completely unique. He too believed that patterns existed in the individual’s lives. While Rogers never totally agreed with McGregor that a range of solutions could be applied, their theories—however short-sighted—was an improvement over the one-size-fits-all approach of early 20th century organizational theories. Rogers coined the term Fruitful Pattern, which included human aspects he observed in his clients. They included an innate intelligence, the ability of the subject to be immersed in the context, and the desire and commitment for further knowledge. He was concerned that individuals created more conflict for themselves when they adopted a defensive stance, a closed mind regarding new concepts, and a lack of trust in the society. Rogers believed in the beauty of human thought and behavior; that patterns only illustrate the unity of human society. In his research on patterns of behavior among individuals, he was delighted to find that often his focused research seem to end with absurd reasoning and emotional justifications by the people involved. Organizations of the late 19th and early 20th century focused on the greater good of the operation and society often to the detriment of the individual. They rarely offered better working conditions, better pay, or an opportunity for individuals to speak about their concerns within the organizations. The rare expression of concern did not go far enough to alleviate concerns and discomforts of individuals in societies and business organizations. As the focus of individual research shifted to group work, Rogers believed that Kurt Lewin created T-groups because scientific work on human society skills was overlooked until that time. Rogers thought that these groups were social inventions meant to mimic real events, uninhibited dialogue, and human relations in order to teach something that was not being expressed naturally, every day. Roger’s University of Chicago group differentiated itself from Lewin’s Massachusetts Institute of Technology (or MIT) group because Chicago oriented more towards personal growth with a development of relationships as a primary focus. Lewin’s MIT group was primarily interested in relationships with others as a secondary concern. Rogers, like Lewin, believed that science must deal first with observables and that interpretation was an ongoing process. What needed fixing was a slightly different set of individuals’ social skills. Groups, Rogers believed, were a replication of an environment or scientific laboratory, in which the real was played at to further a potential sense of confidence. These groups were unlimited in their scope and covered many aspects of human relationships with a focus on fulfillment. Lewin believed that the social group—the family, peers, and community at large—gave the individual his or her character and personality. In addition, it may have formed his or her moral and ethical belief system. Cultural determinism, or the patterns of social personality versus idiosyncratic individualism among organizations, was the concept that Lewin found most egregious. This belief implied that society was pre-eminent and that the individual was diminished within it. Both Rogers and Lewin believed the behavioral sciences supported this flawed thinking because it had computable factors to prove the consensus of the group over the individual’s unpredictability. Rogers thought that the challenge of research with human behavior will be to engage individuals in creating new opportunities for personal growth and self-efficacy.